(Chapter II verse 8) Those who see the Muni so serene and beyond birth and death will be cleansed of attachment, stainless both in this world and in the other. The Muni (Enlightened Sage) is not like others and never takes his cue from defiled dharmata. All karmic-ties have been severed and thus no longer confer imprisonment within the three-times. The skandhas no longer rule over him and thus he stands triumphant upon the crushed head of Mara. His domain is deathlessness itself—clear of all attachment and free to journey through countless Buddha-fields upon the Mind-Steed. (Chapter II verse 151) [Cleary]: Like a mirage shimmering in the heat deceiving the mind, animals take it for water, but there is no substance to it. So does the seed of consciousness quicken in the field of views; the ignorant grasp it as being, as the dim-sighted do the dark. The unguarded mind is like a bewildered animal, a dumb brute meandering through the minefields of samsara. There is no-substance to such ignorant movement emanating from clouded-minds, the seeds of a lesser-consciousness blinded by its own ignominious designs and guided by darkness being its only master. (Chapter II verse 152) Thus the Vijnana-seed is evolved and the world comes into view; the ignorant imagine it is born, just like the dim-eyed ones perceive things in the darkness. A mirror of number seven sparking the realization that (Carnal) Evolution itself is the vijnanic seed that leads to greater self-destruction. In such infested movement darkness will continue to reign supreme. 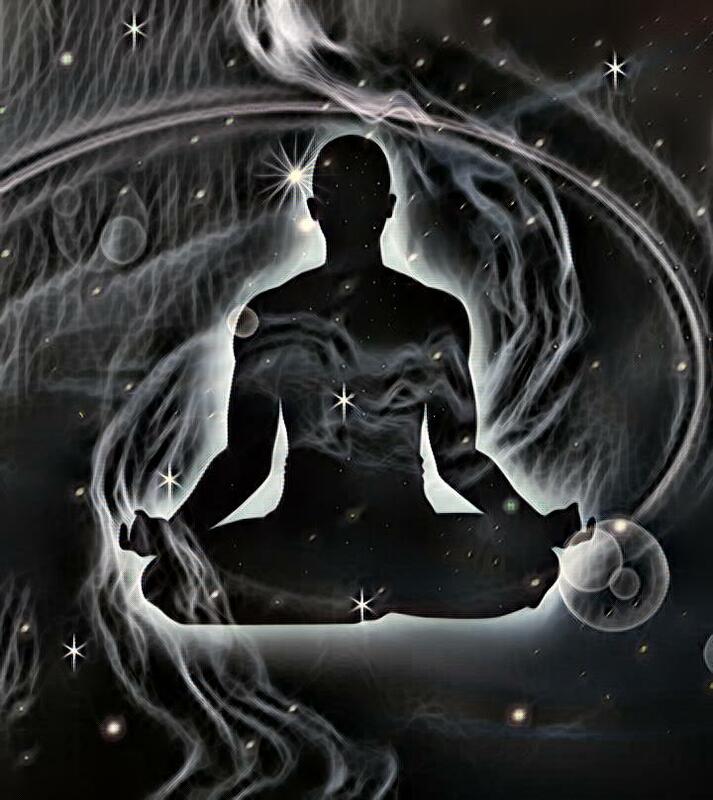 (Chapter II verse 178) [Cleary]: Meditator, meditation, and topic of meditation, relinquishment and vision of truth—whoever realizes this is only mental construction is liberated. Meditation is not an end in itself. Modern Zen with its end-all-of everything zazen is only a means of self-delusion. 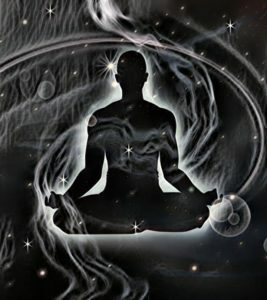 Dhyana is a vehicle, an expedient means in which to quell the anxious mind and spirit by enabling one to discover that all-essential stillpoint. Unless the stillpoint is won, meditation remains inadequate, a trophy of self-absorption, a fool’s-errand that will only produce the 50 demonic states of mind. These individual objects are not solid [realities] they rise because of imagination; as the imagination itself is empty, what is imagined is empty. The Lanka hones-in again and again as to the dangers of an un-checked imagination. While imagination in itself can be very creative and productive, it can likewise prove to be a tool of self-destruction, a self-empty enterprise, if not properly managed. Many evil things are wrought due to a dark-imagination whose inspiration is none-other than the Dark Lord or Mara himself. (Chapter II verse 149) The Skandhas of which the Vijnana is the fifth resemble the reflections of the trees in water; they are to be regarded as Maya and a dream, they are so by thought-construction; make no discriminations! Mara is Lord of the Skandhas and Maya is his bride. The Lanka also downplays any form of discrimination. Forget about the discriminatory mind! It is a master of illusion, and will twist reality with one being left in the dark completely unaware of what is really transpiring. (Chapter II verse 154) By regarding the world as always like a magically moving corpse, or machine, or like a dream, or a lightning, or a cloud the triple continuation is torn asunder and one is emancipated. I remember once being in ministry with a Religious Sister who was the “Parish Life Director”—a fancy term for Pastor, for canonically a woman could never be a pastor, hence the accepted phraseology—a cloaking device. It was the beginning of Lent on Ash Wednesday and I gave a homily that included the description of “animated corpses”, or one being devoid of the Light of Spirit. Afterwards, she frowned and facetiously muttered, “animated corpses?? ?” In true Lankavatarian spirit, the world and its inhabitants are indeed likened unto animated corpses, not being animated with the Light of the Unborn, but rather just like walking zombies—already dead, just animated with decaying involuntary-movements of the flesh. Ulcerated dolls with stringy sinews. From dust to dust, ashes to ashes. Realizing this, one is liberated in mind and spirit. [Cleary] Consciousness occurs through invalid imagination, eightfold, ninefold, variously, waves on a vast ocean. Such is the mad-cycle of the Vijnanas that gives rise to the pseudo-consciousness, and its rabid enabler the Alaya-receptacle, upon which it insatiably feeds. This entry was posted in A Mystical Odyssey through the Sagathakam and tagged animated corpse, carnal evolution, discrimination, meditation, muni, stillpoint. Bookmark the permalink.